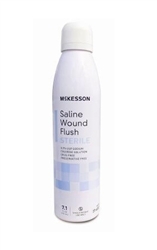 McKesson Saline Wound Flush Cleanser is a sterile general-purpose saline cleanser. It is a USP normal saline with 0.9% USP Sodium Chloride Solution. Provides a saline stream that is 4 to 13 psi. 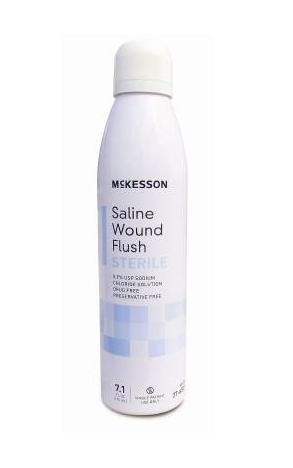 McKesson Wound Cleanser is used for moistening absorbent wound dressings and cleaning minor cuts, minor burns, superficial abrasions, and minor irritations of the skin.